Fees for permits issued after construction begins, shall double. Application Number will be assigned by the Zoning Administrator. Name and address of the Owner/Applicant. If the applicant is not the legal owner of the property, a statement that the applicant is the authorized agent of the owner. Name of Builder or Contractor. Check one classification of work. New, Addition, Dismantle or Other. Give a brief description of the proposed improvement or use. Improvement valuation and fee will be determined by the Code Enforcement Officer. 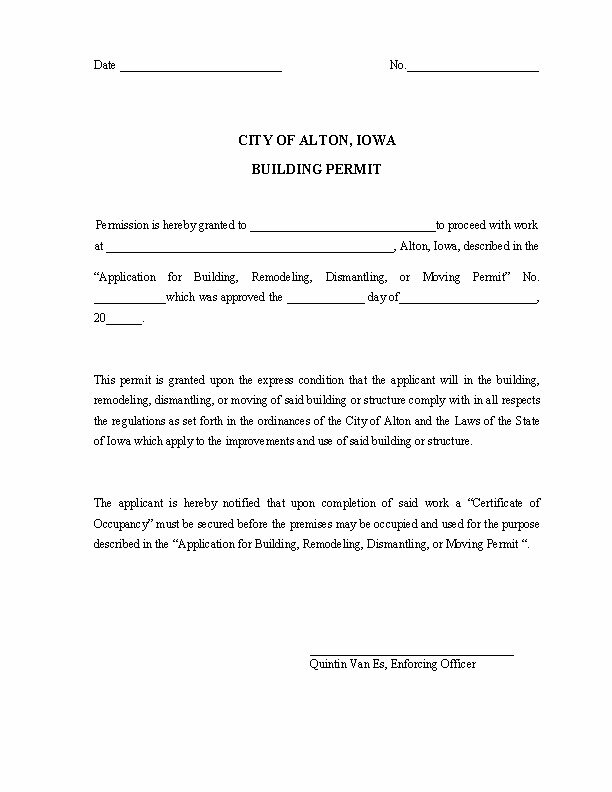 Permit fee must be paid before permit is issued. Show footage from existing lot lines, front, side and rear. Show size of lot and building dimensions or addition to be constructed. List building materials to be used such as exterior siding, roofing materials etc. Corrugated metal, tin or sheet metal is not permitted in residential zoning districts. A detailed floor plan along with front and side elevation views must be submitted for all new construction. 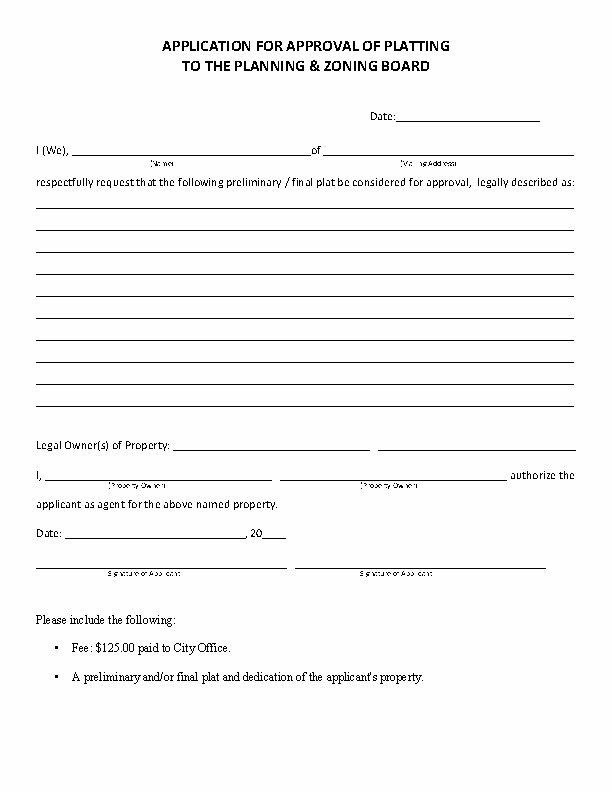 Sign the front page of the permit and return it to the Zoning Administrator & Code Enforcement Officer for review.